You know you’re organising something awesome, when you yourself wish you could take part of it as a participant, not organiser. This is what many of us felt on Sunday, November 17th, when we joined forces with Microsoft, Skype, Edicy and Velvet and hosted the first Digigirls Estonia event. The aim was to get more schoolgirls excited about the work opportunities in technology field and we’re pretty sure we accomplished it. We had around 55 girls (from grades 9th–12th) who spent their afternoon at tech related workshops. Everyone could choose two from the following five workshops: programming, design, project management and marketing, testing and databases. 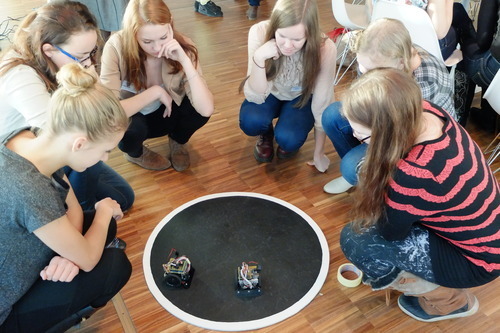 The girls were given a short introduction to the specific field and then they got a chance to actually do something practical themselves, whether that be coming up with a design idea or writing code for a sumo robot. It was truly amazing to witness the revelation some girls seemed to experience! To be honest, we did expect the participants to get excited, but I think the overall outcome exceeded our expectations. We’ve had great feedback both from the participants and from our co-organisers and we plan to organise something similar again in the near future. We’ll keep you posted on our Facebook page and on Digigirls’ page. 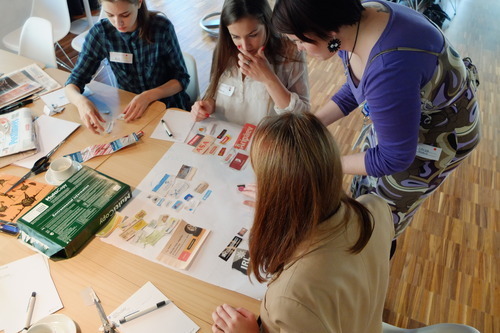 More photos on Digigirls Estonia Facebook page.